So let’s talk about staging your home. Here are some of our tips. First things first, it’s time to put everything you don’t need into storage. Go through your home, room by room, and scour your property for superfluous items. Your home should be completely clutter free. You can keep clothes, some furniture, food and plates and such, but be prepared to pack up anything that you truly don’t use during your day-to-day. It’s wise to pack as if you were moving. Get boxes, packing tape, and a moving truck, and get to work. Be sure to label your boxes so that you’ll be able to sort through your property with relative ease when you do opt to take your stuff out of storage. Of course (please excuse the shameless plug), be sure to store your stuff here at J & B Storage if you live in northern Colorado—we’re located right here in Loveland. Get a free quote in a jiff! Now that you have a bit more wiggle room in your home, you might want to make a few renovations and improvements around the home. Do you have any walls that have been dinged with moving furniture? Go ahead and patch those up. Do you have wooden floors that are covered in scratches from shoes and animal paws? Consider having them refinished. Do you still have wallpaper spanning the walls throughout the kitchen? Maybe it’d be better to have tile, or just a coat of paint. Make sure that your home looks brand new, clean, and completely operational. Next up, it’s time to really start staging. You can always hire a professional to stage your home, or, if you prefer, you can do it yourself. How much does it cost to hire a professional? That depends. Again, Realtor.com notes that “most stagers charge $300 to $600 for an initial design consultation, and $500 to $600 per month per room.” However, you don’t have to shell out that much dough, since there’s a third option: you can get a consultation from a home stager. That price, as the same article points out, “is far less, [about] $125 for 90 minutes.” Fortunately, this cost can be easily reclaimed when the home sells. If you choose to do it yourself you’ll have to make some purchases. 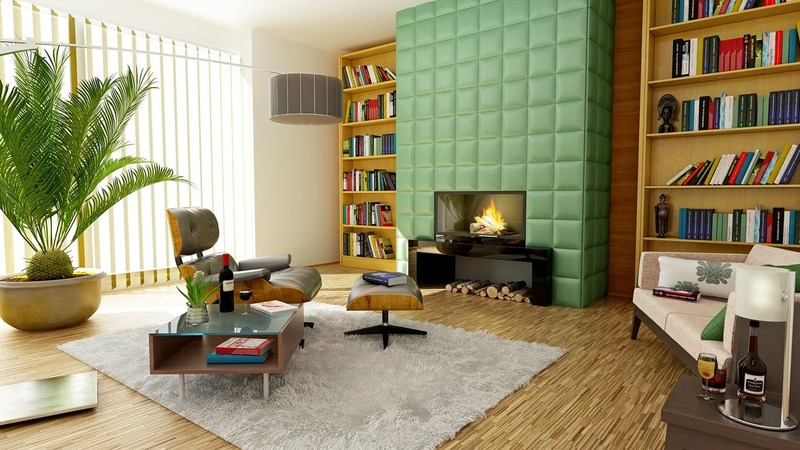 Look for decor that fits your home, and build a contiguous design theme throughout the house. Just remember, when you’re purchasing decor, that you’re still saving money over hiring a designer, and the purchases should pay for themselves once you earn a homebuyer. If you don’t know where to start, jump online and look for home staging ideas. It’s a good idea to have your home professionally cleaned as well. When it’s time to stage your home, we’re here to help. As your Loveland self-storage providers, we strive to make storage as convenient and cost-effective as possible. Choose a storage unit that’s perfectly sized for your needs, and store your stuff as long as you’d like. Give us a call if you’re ready to get started!